Our neighborhood is well-known in Chicago for its special events. From Strolls and Crawls to Runs and Festivals, there's never a weekend with nothing to do. The LSRCC plans many of these events, all of which are designed to direct traffic to local business and improve the community. Explore the ways we give back using the tabs below. Why does LSRCC conduct special events? Our special events are designed to draw awareness to Lincoln Square and Ravenswood, and to support local business. Businesses who participate in LSRCC events have the chance to market, network, and make a profit at the same time. Businesses who don't participate can still see spillover benefits from all the potential customers our events draw to the neighborhood. What events does LSRCC organize? How does LSRCC work with local businesses? The LSRCC offers local businesses a variety of membership packages to choose from based on their needs. LSRCC members receive help marketing their business, obtaining permits and licenses, networking with peers, and learning new skills at trainings and workshops. For complete details on membership click here. How many businesses participate in LSRCC events? Some LSRCC events involve many businesses, while some others are more exclusive. Small events like Kids in the Square and Wine Stroll may have 25 to 40 local businesses involved, while larger street festivals such as Apple Fest and Square Roots tend to have 50 to 80 businesses. Each of our Event pages contains more details on the kinds of businesses who typically participate. How many people attend LSRCC events? The LSRCC organizes events both large and small. Attendance at a Spring Wine Stroll might be about 500 people, for instance, while larger events like Square Roots can draw as many as 28,000. Why should I donate at the gate of a street festival? Board Director Dave Zibell, Director of Marketing at the Old Town School of Folk Music, explained our donation strategy in a recent interview with Crain's Chicago Business. Which non-profits benefit from LSRCC events? For more details on the Volunteer Grant Program or to learn how to get involved, contact us. To which public projects does LSRCC contribute? To which other activities does LSRCC contribute? The LSRCC conducts two Buy Local Campaigns every year to encourage local commerce in Lincoln Square and Ravenswood. Through Unwrap LSR and Shop Small Thursdays, the LSRCC has sent special rebates to over 575 local shoppers. These rebates have totaled nearly $30,000 over the past four years. How can I learn more and/or volunteer? Learn more about our Volunteer Grant Program and how to get involved by contacting the LSRCC. 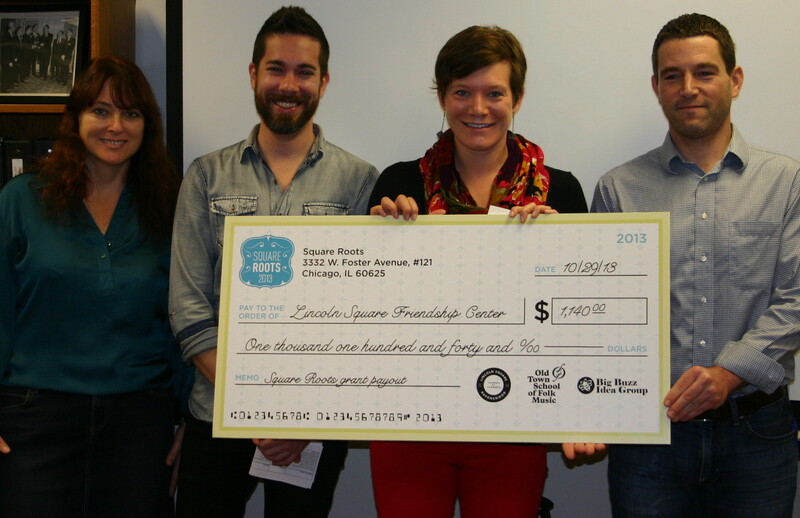 Local food pantry Lincoln Square Friendship Center awarded donation for participating in the Square Roots Chicago Volunteer Grant Program. 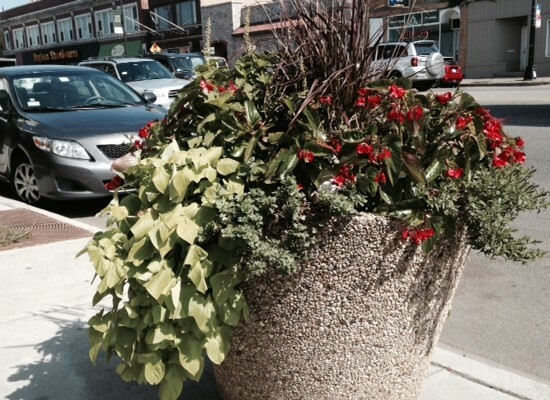 Contributions made to enhance landscaping initiatives provided by Special Service Area #21 - Lincoln Square. 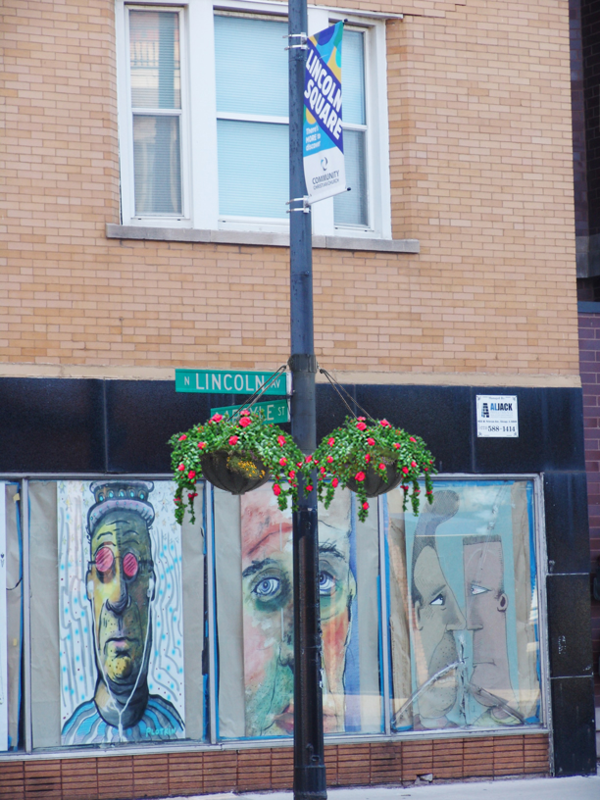 Hanging flower baskets for Lincoln Avenue between Lawrence and Foster Avenues currently being planned and funded through special event revenue. 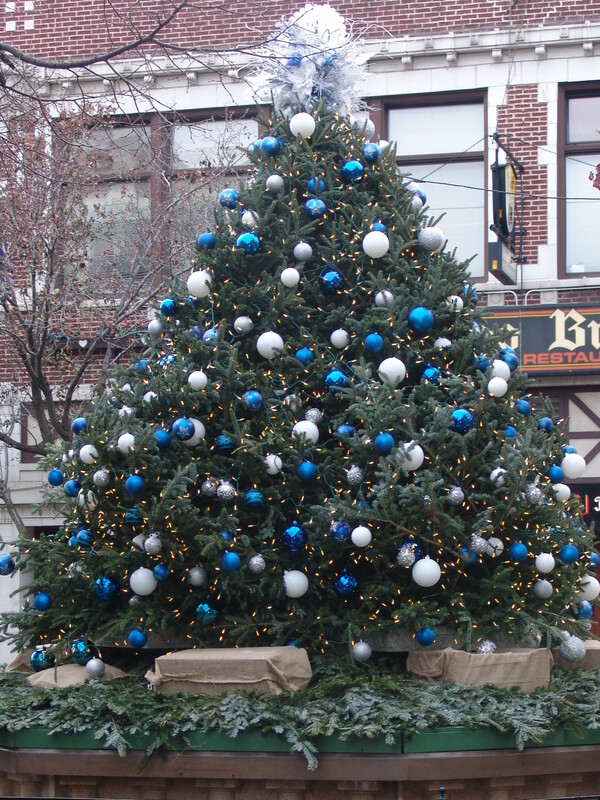 Festive decorations purchased and installed through special event revenue to increase holiday shopping foot-traffic.